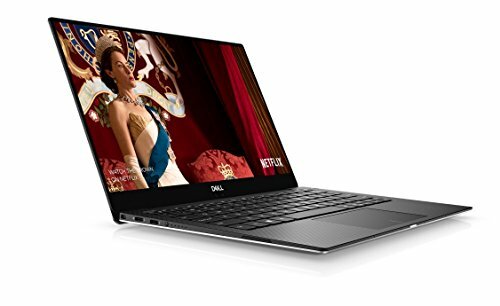 At first glance you could be forgiven for thinking that the new XPS 13 9370, originally dubbed the Developer Edition, is actually the last-generation XPS 13. 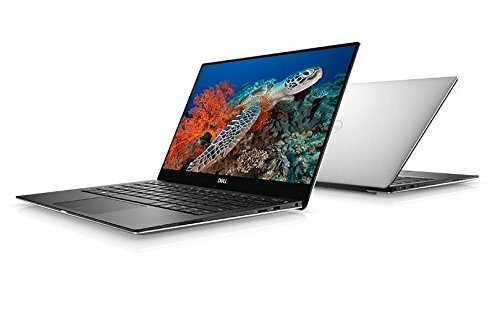 This is because Dell has consistently chosen evolution rather than revolution for its top of the range small laptop, focusing mostly on keeping the internals bang up to date while sticking to a tried and tested design. 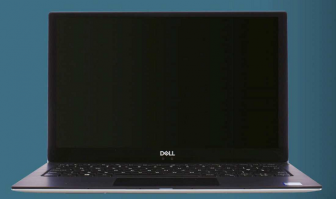 The new laptop carries over a number of design elements from the 9365, shrinking in size and eschewing USB-A ports in favour of USB-C/ Thunderbolt. The finish and shade of silver on the lid are tweaked, but overall the design remains one that successfully combines both an understated business attitude and a ‘Look at me!’ wow factor courtesy of those thinner screen bezels. The drop in size and weight represents a 24 per cent reduction in volume and it’s a noticeable improvement. This is partly achievable due to a reduction in the size of the battery, which drops from 60Wh to 52Wh, although due to increased efficiencies elsewhere this doesn’t equate to a reduction in battery life. 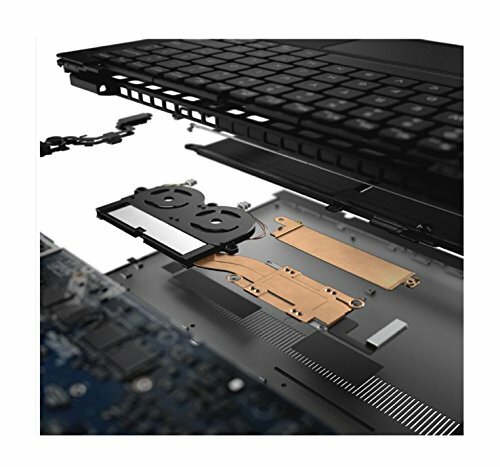 Aside from the loss of the USB-A ports, the other significant space-saving change is a microSD rather than full SD slot. When laptops thin down, often one of the first things to suffer is the keyboard. Thankfully, that’s not the case here. The keyboard mechanism is new, but still remains a great keyboard to type on. We were somewhat disappointed that the Windows key remains on the Linux edition – but apparently that’s due to Microsoft’s licensing terms. You can opt for an FHD resolution screen rather than 4K if you want… but why would you? 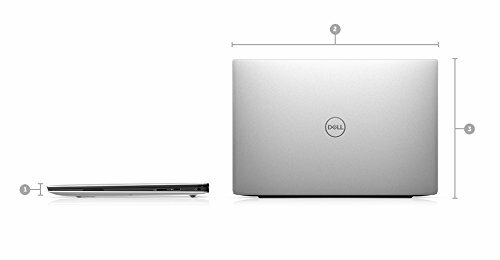 The default silver machined aluminium looks smart enough – not that you have any other option with a 4K display centre, for slightly better-aligned up-nose shots. 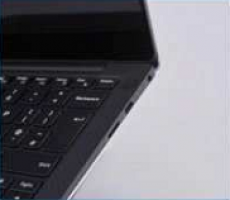 The power button remains in the same position rather than being on the side as it was with the 9365. 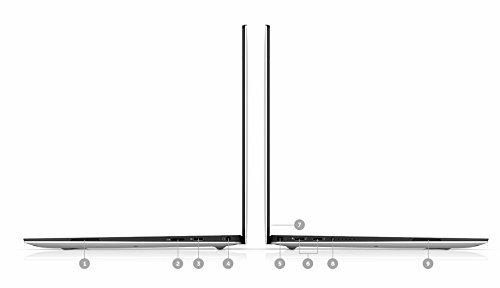 Charging on the laptop is now available only via USB-C – there’s no conventional barrel port. A compact charger is included in the box, and given there are three ports the charger can be used with, we think this is a positive step. 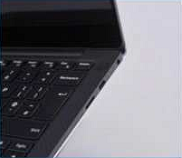 The 9370 features the 8th generation i7-8550U chip, which brings quad-core power to the U chips for the first time. The already excellent display also gets a bump from QHD+ to 4K (an FHD option remains). The top-spec screen is simply stunning; as well as the higher resolution it has a better contrast ratio, is brighter and sports better viewing angles. It’s simply the best screen you’ll find on a laptop of this size. 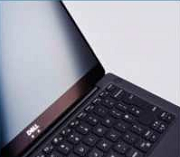 Touch support is included, which does mean a glossy finish – albeit with a glare-reduction coating. 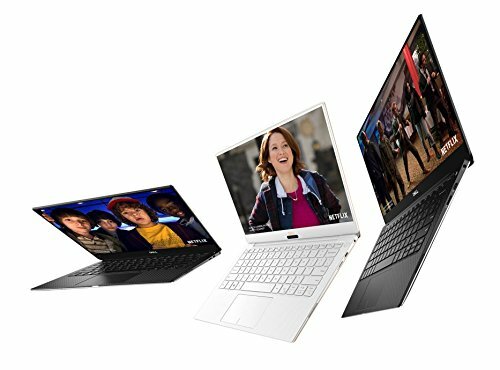 The XPS 13 9370 ships with Ubuntu 16.04 LTS out of the box, and we threw some of our most demanding development tasks at it (compiling Android from scratch is one of our favourites). The extra horsepower provided by the quad-core CPU meant a considerable performance improvement over its predecessor. Even better, Dell appears to have equipped the 9370 with vastly improved thermals, with the fan much less likely to kick in than on its predecessor, which was a common complaint. 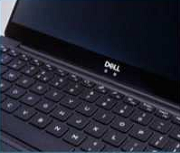 Another common gripe of XPS users is coil whine – that irritating high-pitched noise some components emit when running at full power – which was absent on our test unit during review. On a day to day basis, the 9370 is a very easy device to live with. 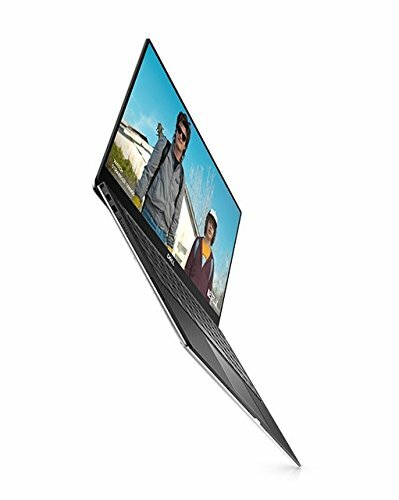 It has fantastic portability, blistering performance, an incredible screen, a comfortable keyboard and good Wi-Fi connectivity, and aside from an occasional grumble when needing to connect a USB A device, there’s really not a lot to fault provided you don’t plan to use the webcam too often. 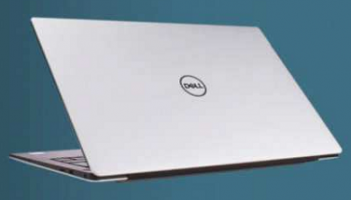 The laptop is an output of Project Sputnik, Dell’s own well-established Ubuntu effort, and we encountered no issues with software at all – either with the supplied LTS distro or by updating to the latest non-LTS release. We also installed a number of alternative distros without issues. We mentioned that the battery capacity has been reduced slightly for this revision, but in our testing we saw little to no appreciable change in longevity; a full work-day is easy meat for this machine. Oddly, if you want a white/rose-gold model rather than the default silver you’re out of luck unless you opt for a version with Windows included and an FHD (rather than 4K) display. Because of the extra cost of the Windows licence, this actually turns out to be more expensive than the model we reviewed, at least at the time of writing. You also get a fingerprint reader that’s only supported in Windows. It’ll work if you are a user that dual-boots – and of course it may be supported in Linux at some point in the future. 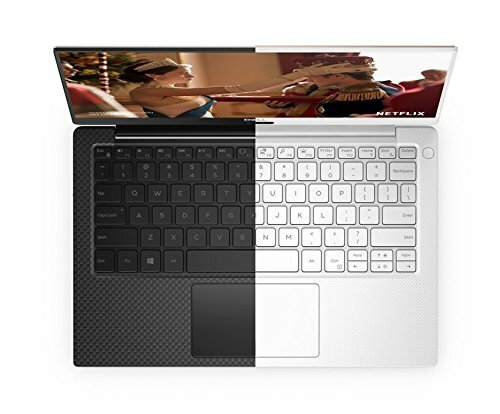 Offers a fantastically portable experience with excellent performance from 8th generation quad- core processor, class-leading 4K display and a comfortable keyboard. 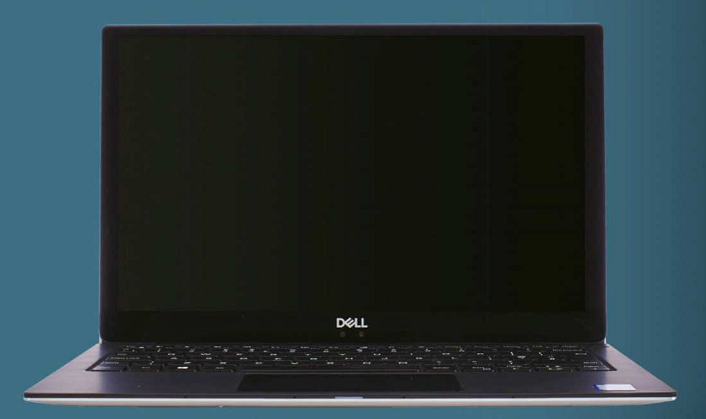 It’s a brilliant laptop, but if we had to quibble, the webcam is a little disappointing and it doesn’t support USB-A ports. What we found particularly impressive when benchmarking was the low deviation from the best scores across multiple tests. This supports our findings that thermals are much improved on the 9370, leading to reducing throttling at high loads.